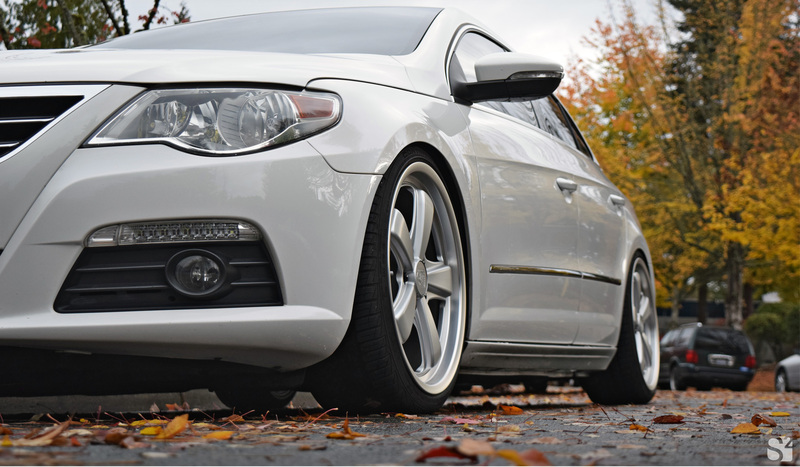 The featured image of our VW CC was taken the morning after a post “Stormpocalypse 2016” clean-up, the record-breaking wind storm that never was. Despite rain in the forecast the CC needed a good wash and it was the perfect opportunity to put a new pressure washer gun and foam cannon to use. For a while we considered moving on with a new project but ultimately decided to keep the CC, so naturally we are thinking about what to do next. The want for a bigger turbo is strong with several local Stage 3 turbo kits being installed at Achtuning. Having driven their K04 equipped A3 for a few months it was assumed that level of power would be enough since the low-end torque increase is where we could expect to see the biggest benefit. After a few rides in some Stage 3 cars it’s got us re-thinking everything. First, a few things to fix, 1) the back-up camera doesn’t swing out all the way anymore and will need to be replaced (OEM this time), and 2) the trim piece below the rear window that is known to crack needs to be changed out – ours finally cracked after all these years. That also means gathering more parts that we might want painted gloss black at the same time like interior trim pieces and engine cover… Maybe. The CC is also due for its second carbon cleaning and we’re thinking about upgrading with SuperPro’s rear trailing arm bushings some time this Fall or Winter to replace stock parts that are feeling a little squishy with age. More updates on this project to come soon-ish.